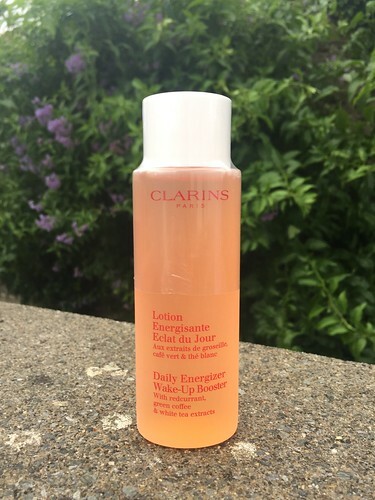 This was the second Clarins product that I was sent by The Loop in Dublin & Cork airport and although I didn’t love it as much as the After Sun Shimmer Oil (which I reviewed HERE), I would definitely recommend it for people who want to bring a little life to their skin. My own skin is excessively dry in areas so I found that I need something a little more rich, but I still loved the way that it added vibrancy to my face before I then applied my own heavier moisturiser on top. When I don’t really gel with a product, I always give it to a few of my friends to try out to get completely honest review. If they have the same troubles as me then I like to report it accordingly but this time my friends were highly impressed. They said that it made their skin really feel ready for the day when they used it each morning and they even said that they didn’t have to use moisturiser over the top which led me to believe that my own skin was just a little too far gone with the dryness for it to take full effect. If you do feel like you would like a little wake up call for your skin then I would definitely recommend trying this but just ensure that you have a moisturiser suited to your skin type to coincide with the product! 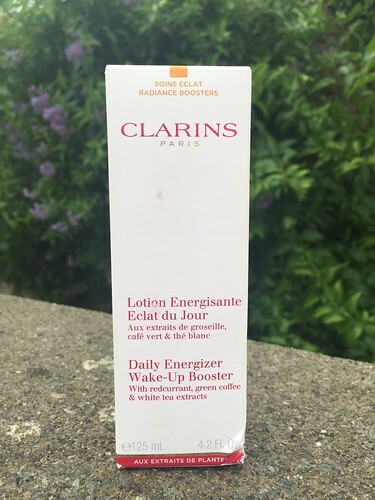 All Clarins products are available at TheLoop.ie and are guaranteed to be at least 15% cheaper than in pharmacies or high street stores so be sure to check out their website if you are travelling through Dublin or Cork airport anytime soon! Do let me know if you try this product for yourself as I would be really interested to hear your results.